With new managed service, called Digital CX, company aims to optimize intelligence-infused customer engagements. Verizon is parlaying its lessons learned serving wireless users via artificial intelligence (AI)-powered virtual assistants into a managed service for infusing automation into an enterprise’s customer experience tools. Through the Digital Customer Experience (CX) service, announced earlier this week, enterprises will be able to deliver personalized experiences to consumers reaching out to them by chat, email, phone, text, and social media. To enable personalization, Verizon taps into past mobile interactions to learn from and improve upon them, said Alla Reznick, director of customer experience, global products and services, at Verizon, in a No Jitter briefing. 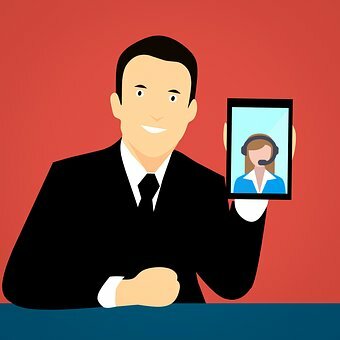 Virtual Agent -- The purpose of this chatbot is to help solve customer issues as they arise during an engagement, whether through its own intelligence or, when that’s exhausted, in a seamless, context-rich handoff to live agents. Live Agent -- With this feature, chat, messaging, and mobile app customers can connect directly to contact center agents for a personalized experience drawn from real-time conversation details, website browsing status, and interaction history. Live Agent is available as a standalone capability for facilitating these conversations via text, voice, or video, or can connect to contact center agent desktop apps like Verizon’s Virtual Contact Center or its Cisco-powered Unified Customer Experience. Knowledge Assist -- This internal-facing tool applies machine learning across internal and external datasets, as well as customer history, to optimize relevancy of answers to agent questions and suggest next best actions for them. Social Engagement -- This capability allows enterprises to monitor and analyze social media posts, as well as engage with customers from a unified platform. Verizon has seen interest in Digital CX, which is available immediately in the U.S., for two types of use cases, Reznick said. In some cases, top executives and boards have thrown down the gauntlet on customer experience, but stakeholders don’t know how to get started. Elsewhere, enterprises are looking to offload internal-facing capabilities as they undertake development of the core external-facing experience themselves. “’For my internal use,’ they say, ‘I just need something – take it off my hands,’” Reznick said. No matter what their level of engagement with Digital CX, Verizon will encourage them to start slow -- one of the biggest lessons it learned in leveraging AI to serve its own customers, Reznick said. “You can’t expect tremendous sweeping results across all transactions. Be prepared. Take tiny steps, add use case by use case,” she added. An airline might first apply AI in a seat change application, while an entertainment company might use it to surface ticket availability information -- “just one use case… patience and time are most important,” Reznick said. The other major understanding gleaned from serving its own customers is that technology, sophisticated as it is becoming, is only a small part, albeit a very important small part, of the equation, Reznick said. “To make bots work, you have to curate and train them like you would regular employees. You wouldn't add agents, point to a queue, and say, ‘Get to work!’ You have to train them, and gradually add more tasks for them to handle,” she added. Running an AI-based customer engagement platform can take 10 to 15 people if you’re going to go it alone, and wrapping yourself up with one AI or natural language processing (NLP) vendor is tempting, though not wise, said Chris Armstrong, a Verizon product manager. “For example, if you want to go into a Chinese market you might want a different AI system than if you’re working solely in the U.S.,” he noted, speaking to the flexibility afforded by a managed service that allows an enterprise to add or subtract AI tools to suit their needs over time. Reznick used a sample “check my account balance” use case to elaborate on this point. To start, the platform might use built-in NLP for this simple inquiry. If the enterprise wants to evolve to allow more complex queries, perhaps Verizon would then incorporate more sophisticated NLP capabilities such as provided by Google AI, she said. Should the enterprise want to expand to the Chinese market, Verizon might add in AI from Baidu to converse in Mandarin. In other words, Verizon will integrate the most appropriate AI tools on a case-by-case basis, including any that an enterprise might already have in use, Reznick said. To help enterprises find starting points, a Digital CX team goes onsite and works with the customer to identify use cases from short- and long-term perspectives -- reiterating Verizon’s best-practices crawl, walk, run nature of AI implementation, Armstrong said. Verizon sees applicability across industries, and has identified opportunities in the finance, travel, airline, public sector, healthcare, and retail markets, Reznick said. Verizon demonstrated Digital CX at the National Retail Federation’s Big Show that took place this week, and Reznick said it will show off the capabilities at Enterprise Connect 2019, taking place March 18 to 21 in Orlando, Fla.
At Enterprise Connect, look for Verizon on the expo floor at booth 1219, and catch up with all you need to know on contact centers and customer experience in our conference program. Register by Friday, Jan. 18, to receive the Advance Rate -- and as a No Jitter reader you can use the code NJPOSTS to save an extra $200.